Example of a LOESCHE mill type LM 53.3+3 CS. 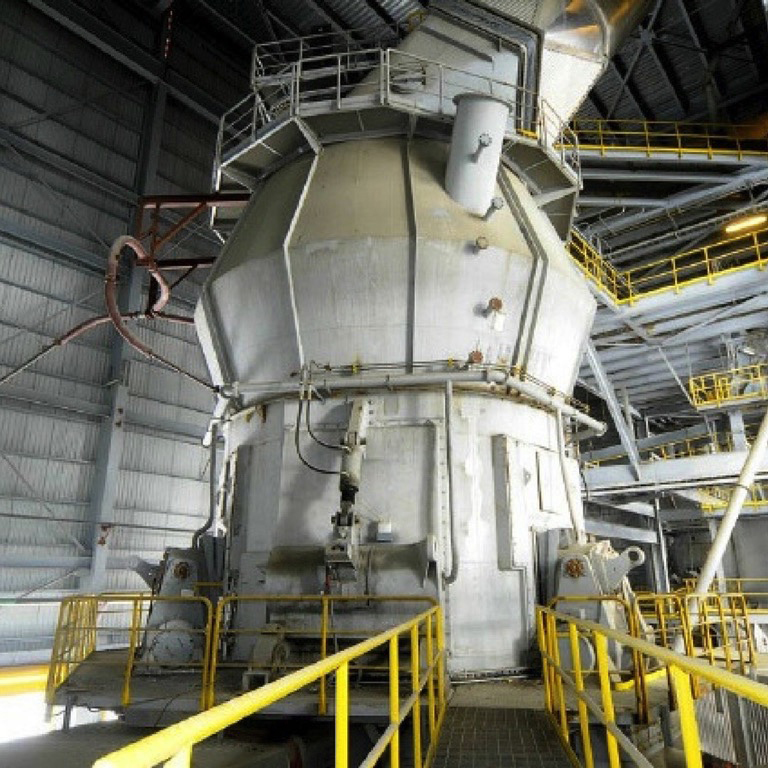 According to LOESCHE, with this perfectly coordinated set of four mills to equip a complete cement production line, the concept of procuring all mills from a single source will once again prove its worth for the customer. With this concept LOESCHE has already successfully asserted itself against its competitors with numerous customers in the cement sector. Last but not least, the delivery time in this case is only eight months. This and the positive experiences with LOESCHE mills already running reliably at Kohat Cement were not only convincing for the end customer: the same was also true for LOESCHE’s contract customers, planners and installers of the new plant, the Chinese Sinoma International Engineering (NDI). LOESCHE has been cooperating successfully for many years on numerous cement projects with this renowned contract partner, which specialises in the planning of cement plants. At its plant of the same name, Kohat Cement works with a current annual production capacity of around 2.8 million tonnes of portland and white cement per year. With the newly constructed line, the daily capacity is now set to be expanded by 7,800 tonnes of portland cement.